Weeding in SRI cultivation is essential and no suitable weeder available in the market. 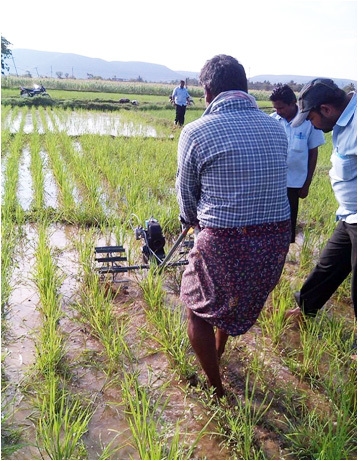 This weeder meets all the needs of the farmer. Weeds two rows at a time. Turning around is easy on a wheel. It weighs less than 20 Kg. 0.5 hp engine. Fuel consumption per one litre of petrol per acre.